Why were they so anxious? As you know by pouring through this Web site, I am a conservative Democrat. Therefore, giving the government control of healthcare or any other important aspect of my life does not fit in with my way of thinking. Healthcare is not for the government. It is for doctors and patients only. Government simply does not belong. Government under progressives wants to pretend it is the new, modern god, and so the goodness of the American people and our religious inclinations, and our churches, and our charities are no longer necessary. Charity and helpfulness to our brothers and sisters is not for government. Again, Government simply does not belong. Charity is for the goodness of people, both organized and unorganized to come forth and help the helpless. So, even though I am a Democrat and even though you may be a Democrat, that does not mean that you or I should have had to give up your freedom to feed huge political egos and give control of our lives in any way to the government. The people run the government and not vice versa. Giving up freedom to government is the antithesis of America and quite frankly, it is why, in addition to separation of powers, the Founders created the Constitution so that we never forget that government is subservient to the people. Wealth redistribution, Income redistribution, and now, with Obamacare, healthcare redistribution are anathema to the American way. American is a charitable country indeed, and that is why we do not need and do not want the government directing our charitable efforts. That also does not mean that a better healthcare plan cannot be passed in the 112th or 113th Congress. It is my goal to remove the monstrosity of Obamacare from the backs of hard working Americans and fix the problems in the system without giving the federal government any control over our lives. That is my goal. This was originally written at a time in 2009 / 2010 when Obamacare had not yet passed and they were in recess. It is transcribed as written though it is now passed and on its way to repeal in the 113th Congress. This piece gives us all an idea of the government control that has gone too far. Because, contrary to what you've been hearing from the liberal mainstream media, ObamaCare is not a done deal... and Obama, Pelosi and Reid know it." "The bribery and thuggish pressures and threats against Democrat Senators and Representatives to pass the bill reveal a political leadership more devoted to ideology than the will of the People. ... it is an example of naked Communism at work. It is a bill put together behind closed doors and so extensive its control of the lives of Americans literally determines who lives and who dies." Obama, Pelosi and Reid knew that ObamaCare could be stopped. That's why they had to desperately issue threats and cut secret deals. And their desperation was proof positive that you could have stopped them. On May 18 and November 2, in 2010 the people took the opportunity to pay these three Pennsylvania scoundrels back for turning their backs on the people of NEPA. Chris Carney, Paul Kanjorsky, and Arlan Specter were representing San Francisco and Las Vegas. When we release Robert P. Casey, Jr, in the 2012 election, he can join these three has-beens and hopefully the four of them will move to San Francisco. That would be one move that would help Pennsylvania and Pennsylvanians. Whatever caused all the anxiety in Congress, these four Pennsylvania legislators sold us down the river and just like we got Bin Laden, there is one of the four remaining in the Senate. 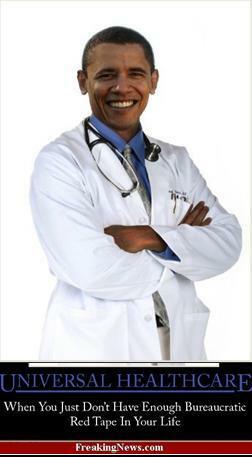 Let’s get him in 2012, and let’s get a real healthcare bill that helps America rather than a progressive government gone wild.